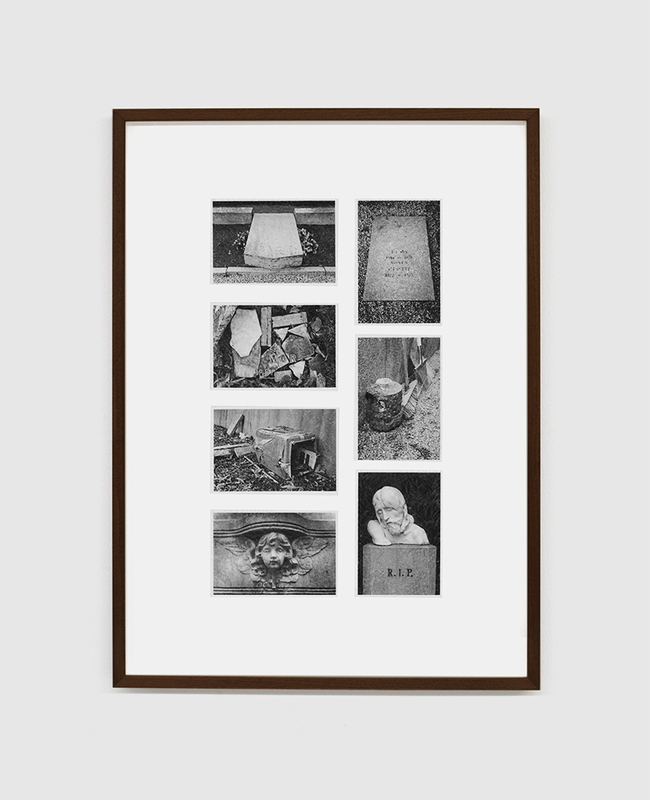 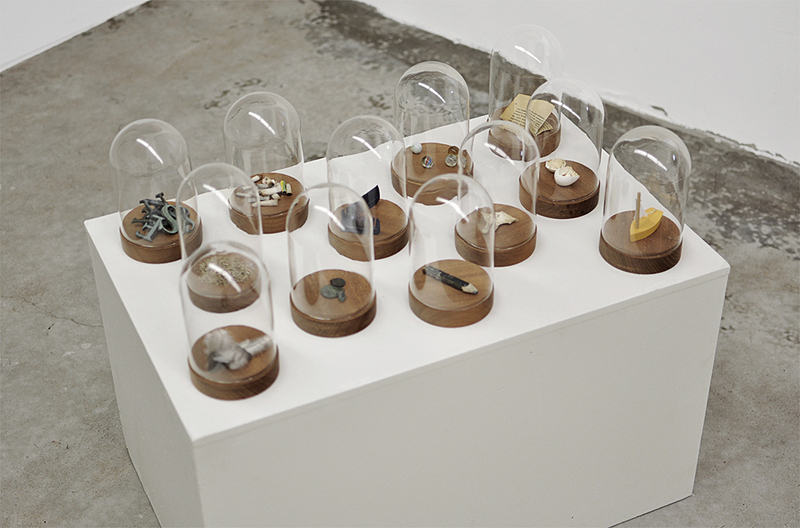 Found objects from St. Pauli Cemetery, Malmö, bell jars, Ø 10, h. 14,5 cm, 2012. 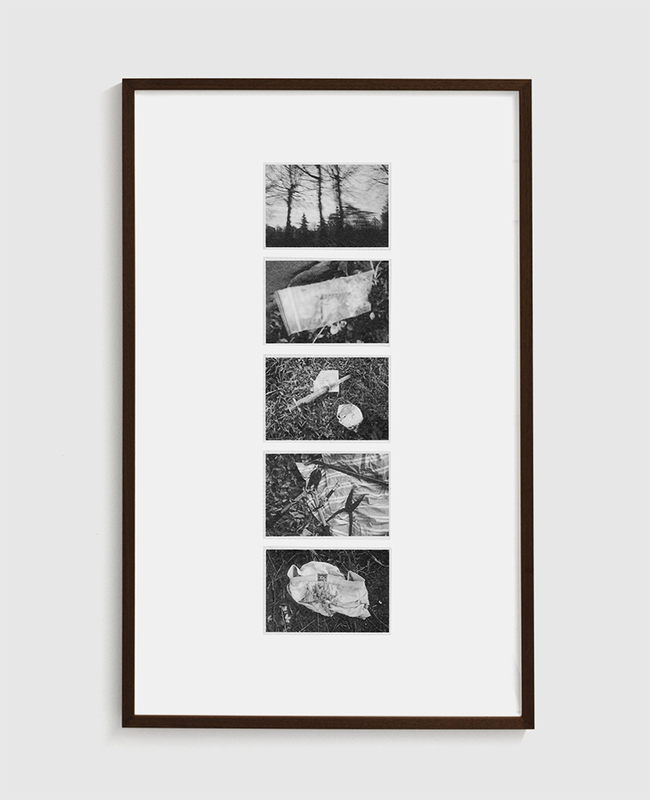 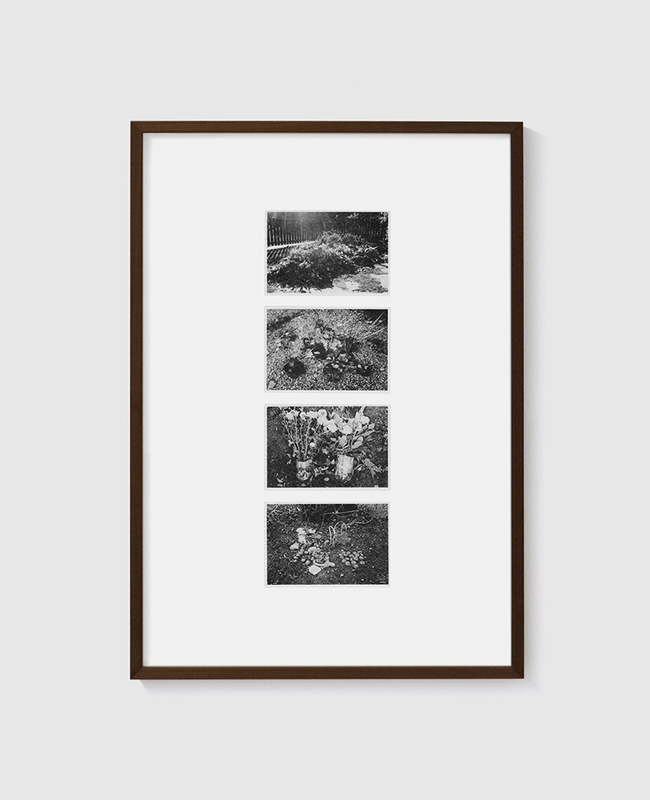 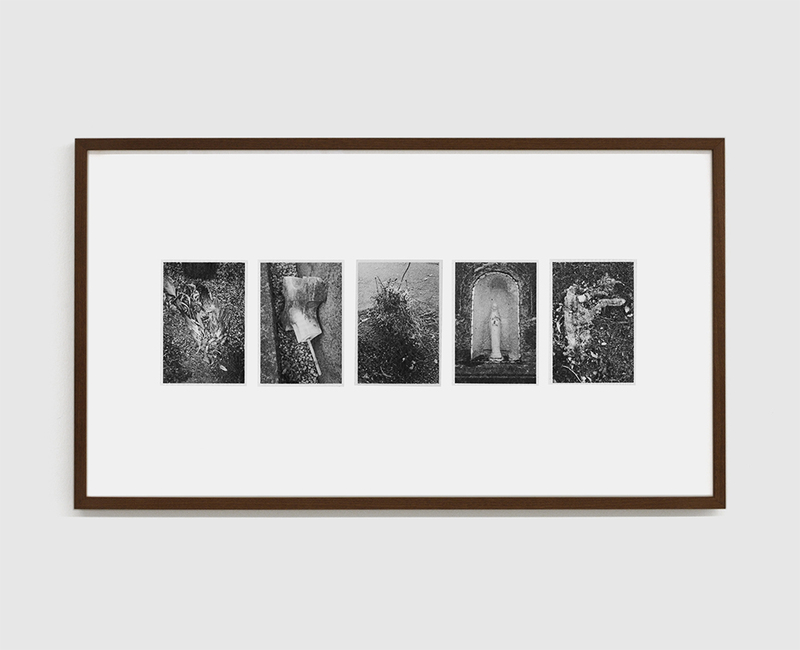 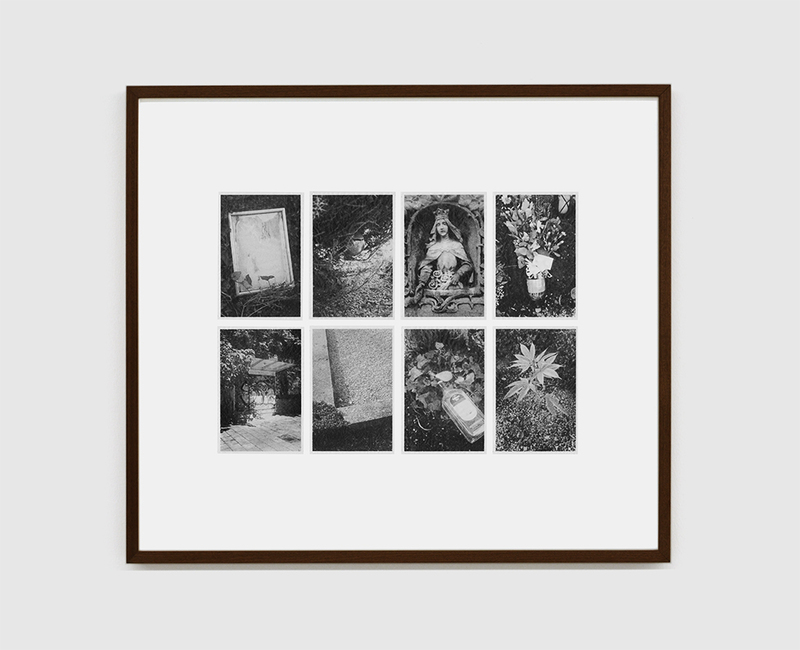 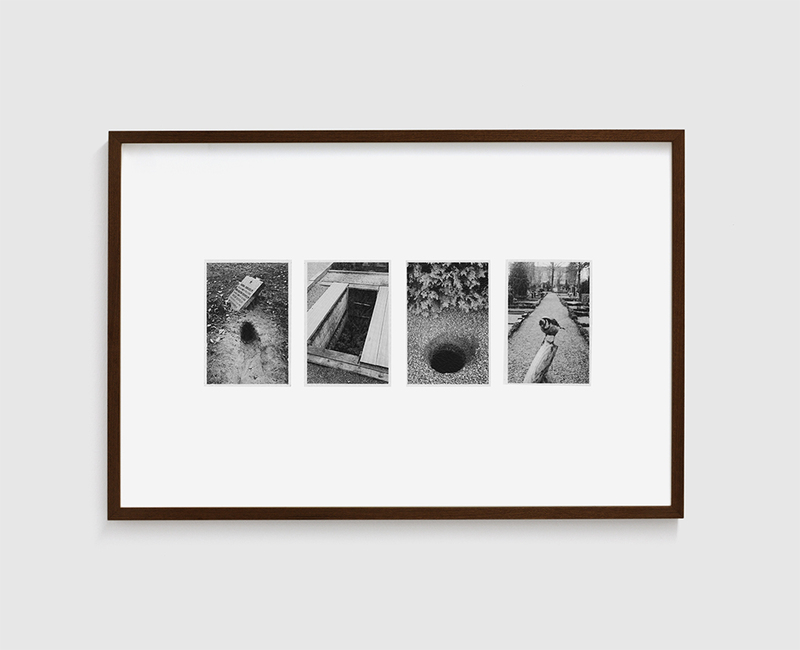 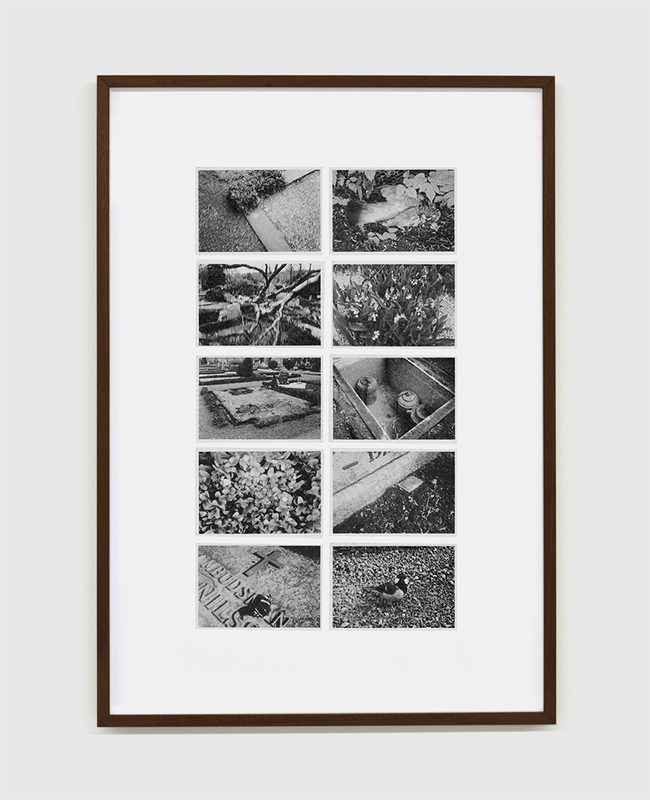 Photographs printed on silk paper arranges in groups. 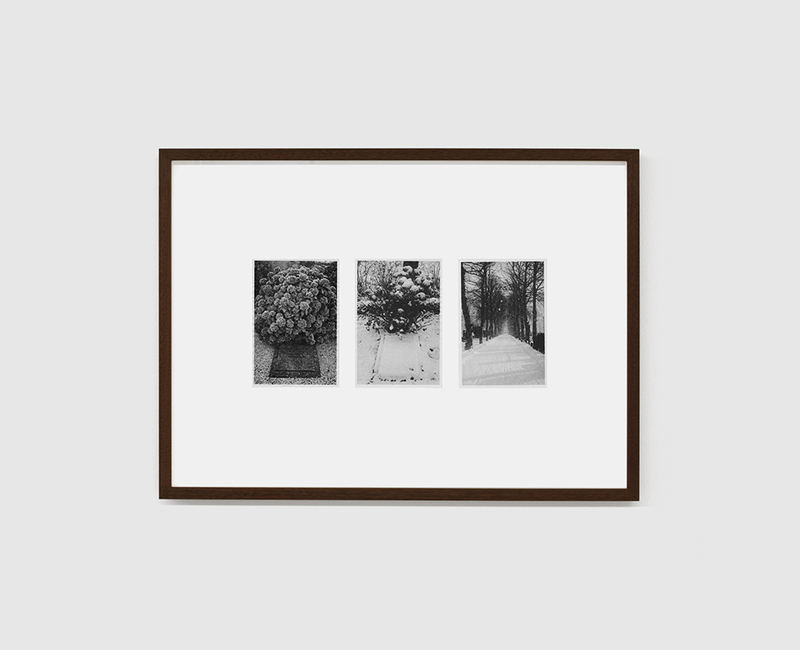 Each photograph 13,5 x 9 cm, 2012.